George Miller’s Mad Max: Fury Road is a two hour chase movie. It is also, unwittingly, a bold portrait of biblical feminism. Blog gurus tell you never to blog “off brand,” but this one’s not as off as it might appear. In the late 60s and early 70s, the structures of traditional Western storytelling were deliberately omitted from “thinking” films. Bleak narratives reflected the randomness of life without faith. Movies were becoming formless and void. 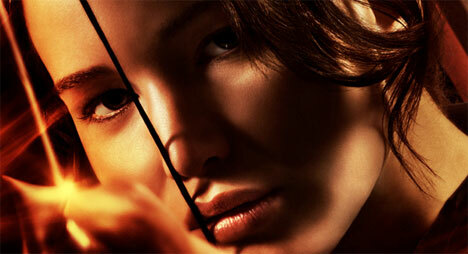 Doug Wilson tackles contrived ethical dilemmas in his review of The Hunger Games. “This objection misses the point that Peter is making. The issue with Cornelius and his household was not whether they were old enough to receive water baptism, but whether they were Jewish enough. If this household had contained an infant, the members of the ‘circumcision’ who were there would not have objected to baptism on the grounds of infancy, but rather because the infant was Gentile and uncircumcised” (To a Thousand Generations, p. 55). Certainly, the issue was whether Gentiles should be baptized, but it was never a pitting of circumcision against baptism. They understood that circumcision was a beginning and baptism was a new beginning. Circumcision was replaced not by baptism but by the death of Christ, which united Jew and Gentile. Jesus tore down that wall, and paedobaptism unwittingly puts it up again. Circumcision marked out flesh as a plot of Land. That is entirely done with. Spirit water overflows all human barriers, it wipes out every distinction with a new one – Repentance and Faith.